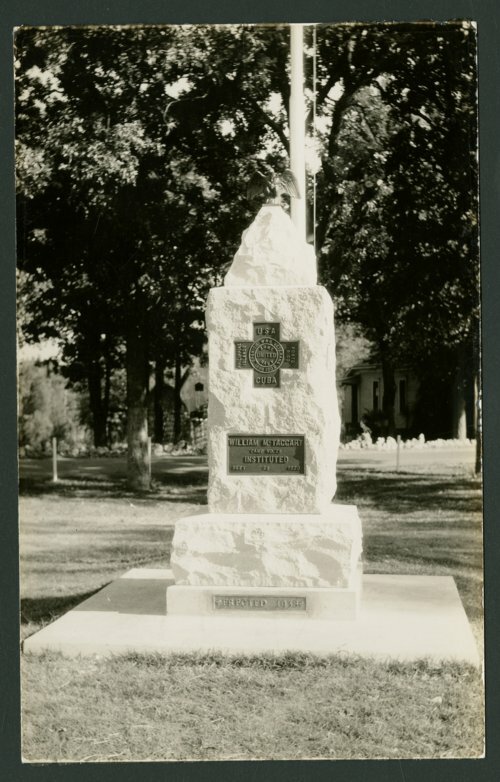 This is a postcard showing the United Spanish War Veterans Memorial in Riverside Park in Independence, Kansas. The inscription reads William McTaggart Camp No. 25 instituted Sept 25 1920 USA · Cuba · Porto Rico · Philippine Islands and erected in 1938.